The synthesis of a new class of heterocyclic aromatic cations by a new method is reported. 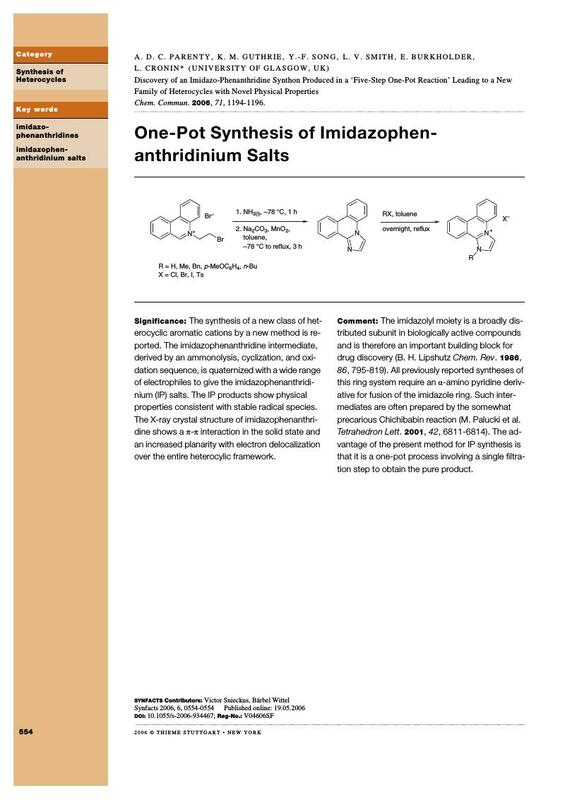 The imidazophenanthridine intermediate, derived by an ammonolysis, cyclization, and oxidation sequence, is quaternized with a wide range of electrophiles to give the imidazophenanthridi­nium (IP) salts. The IP products show physical properties consistent with stable radical species. The X-ray crystal structure of imidazophenanthridine shows a π-π interaction in the solid state and an increased planarity with electron delocalization over the entire heterocylic framework.